Australia Day is a day commemorating the arrival of the First Fleet arriving in Port Jackson (Sydney Harbour), New South Wales and the raising of the flag of Great Britain at Sydney Cove by Captain Arthur Philip on this day in 1788. The First Fleet was a fleet of 11 ships that brought over 700 people from Britain. 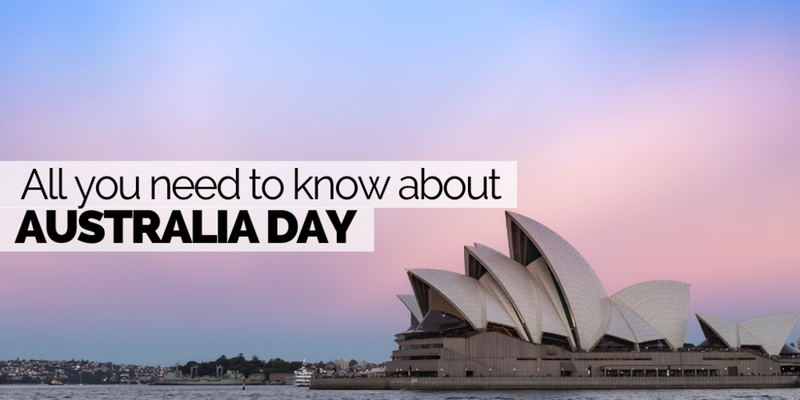 Australia Day has evolved over time and it wasn't until recently that it became the holiday we know it as today. In 1935 all Australian states recognised this day as 'Australia Day' except for New South Wales. New South Wales called it 'Foundation Day' until 1946. Australia Day is a conflicting day for many Indigenous and Non-Indigenous Australians. There are many people who would hope to change the date of Australia Day because the 26th of January marks the day the British started colonising. You may hear people refer to Australia Day as 'Invasion Day', 'Day of Mourning', 'Survival Day' or, since 2006, 'Aboriginal Sovereignty Day'. There are marches that take place in capital cities across Australia supporting to change the date of Australia Day. For most, the day is ended with a fireworks display; the show in Perth is the biggest, with fireworks being launched from bridges, moving boats and skyscrappers. Australia day is also host to many citizenship ceremonies, with over 10,000 people becoming Australian citizens on this day each year. •	Adelaide organises Survival at the National Aboriginal Cultural Institute, Tandanya, at Semaphore. •	Brisbane Check if there is an Invasion Day gathering in front of Parliament House and a protest march (this is sometimes advertised on Facebook). •	Canberra invites you to learn about Aboriginal culture and storytelling with dance and music in Commonwealth Park and at Australia Day Festival at the National Museum of Australia. •	Melbourne holds the Share the Spirit festival in the Treasury Gardens (since 2002), and another Survival Day celebration in Borthwick Park, Belgrave. •	New South Wales celebrates the Saltwater Freshwater Festival at 10 rotating locations (Coffs Harbour, Taree, Karuah and others). •	Perth has an event called Birak Concert (Birak is the Noongar season for December and January; previously called Too Solid) in the Supreme Court Gardens. Survival concerts have been held in Perth since 2000. •	Sydney celebrates Yabun since 2003. It means "song with a beat" in the language of the Eora, the original people of the Sydney region. The event is held in Victoria Park. The Triple J’s Hottest 100 is playing on Sunday the 27th of January from midday. This event is a countdown of songs released in 2018 voted by the public. This is a great event to listen to and support Australian artists, upcoming Australian artists and international artists. There are public parties held across the world and you can find more information about this on the Triple J Hottest 100 Website. Published on January 24, 2019 by Daniele L.